Taking a break from writing and video production, I sat down in the studio to share my thoughts on Pro-Line’s Ambush 4×4, small-scale trail rig. After driving this rig for a while, and with my written review getting wrapped up, I felt an audio overview of this machine was due. In short, this is an incredibly fun machine to drive and I have been carrying it with me on walks and hikes to get my R/C fix on the go. Give a listen to this episode and see where this tiny truck excels and what could be improved (hint: it’s not much). 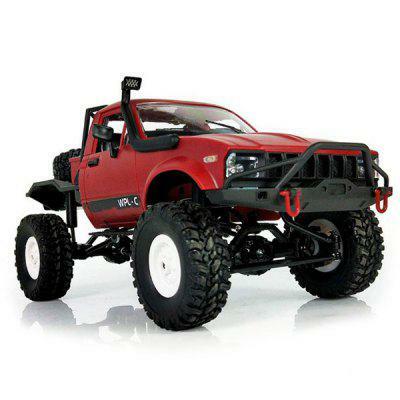 Traxxas releases a Bigfoot replica built on their Stampede platform. Axial has released their second model in their SMT10 lineup, the MAX-D.
Carisma announced a new, 1/16-scale, 2wd buggy at MicroX. Get a first-hand look at Kyosho’s Drone Racer as Peter Gray puts one through its paces. Follow the action at the International Indoor Championship taking place in Las Vegas. My review of Pro-Line’s Ambush 4×4 is about to be released. Before it is published, I share my thoughts on this tiny trail truck in an audio review/preview. Be on the lookout for two more small-scale R/C reviews as I take a closer look at Carisma’s GT24T monster truck and GT24B buggy. Enter to win some Pro-Line gear in our “Apparel Pack” giveaway (now through 10/31/16).